The thrilling new book from No. 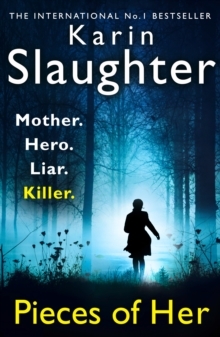 1 internationally bestselling author Karin Slaughter, soon to be a Netflix series A terrifying act of violence... It takes a split second for your life to change forever. And for Andrea Oliver that split second is a mass shooting in her local mall. A woman whose life is built on a lie... But this shocking act is only the start. Because then, as the bodies fall around them, Andy's mother Laura takes a step forward into the line of fire. A fight for survival... Hours later, Laura is in hospital, her face splashed over the newspapers.